Giving off a huge, genuine smile can be a very soothing experience for any individual. However, you might not be able to do so as much as you like because you are too anxious that someone might notice your damaged teeth. If your smile is far from being perfect, you smile a lot less due to the embarrassment that your chipped, crooked, misaligned, or discoloured teeth brings. This can have grave implications on your self-esteem and self-worth. That is why it is essential for you to explore the various ways in which your trusted dental experts at Simply Smiles Dental can provide. Today, one of the most popular treatments in cosmetic dentistry is the use of Porcelain Veneers. Lots and lots of people are choosing this as the solution to their respective cosmetic dental problems due to the wide range of advantages that it bears. 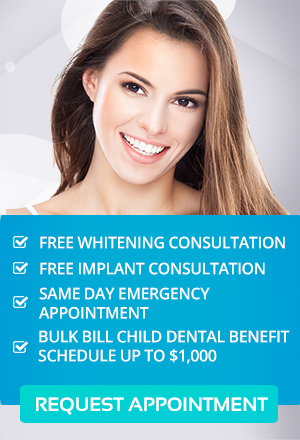 Here are 3 key benefits that you can enjoy with Porcelain Veneers in Melbourne. The first advantage that is worthy to note is the ability of Porcelain Veneers in Melbourne to address all cosmetic dental concerns at the same time. Whether your teeth are chipped, broken, misaligned, or just irregularly shaped, it doesn’t really matter. With the use of Porcelain Veneers, all of those problems can be dealt with effectively and simultaneously. Also, Porcelain Veneers can address your problem with permanent tooth discolouration. They can cover the stained surface of your teeth to give you a radiant, white smile. Not only that, these veneers are natural-looking. They display the natural shade and translucency of your teeth. By choosing to go with Porcelain Veneers in Melbourne as your cosmetic dental solution, it can be said that you do not need any other treatments to give you your best smile ever. Having Porcelain Veneers applied on your teeth does not take too much of your time. It just takes two visits to either our South Yarra or Toorak dental office. During the first visit, the problem areas are identified and impressions of your teeth are taken. Then, the thin sheets of porcelain are prepared from the impressions. On your next visit, the veneers are bonded to the surface of your teeth. The entire procedure is minimally invasive. Consequently, it is guaranteed safe and it poses no risk of side effects. The effectiveness of this cosmetic dental treatment is guaranteed. Similarly, so is the longevity of its effects. The benefits that you enjoy from using Porcelain Veneers in Melbourne are assured to last for a long time. These materials are highly durable and are very resistant to wear and tear. They are made to last for 10 to 20 years without any problems. As a result, Porcelain Veneers do not really need any form of special attention. In addition, they are resistant to staining. That is why your smile is sure to keep its brightness for a long while. Restoring the elegance and perfection of your smile need not be very difficult for you. With high-quality Porcelain Veneers in Melbourne and other cosmetic dental treatments offered at Simply Smiles Dental, you can enjoy the tremendous benefits of having your most beautiful smile ever. Take a look at our gallery and see that your smile is in good hands. These improvements in your smile can boost your confidence so as to allow you to enjoy more out of life. We know you deserve it.